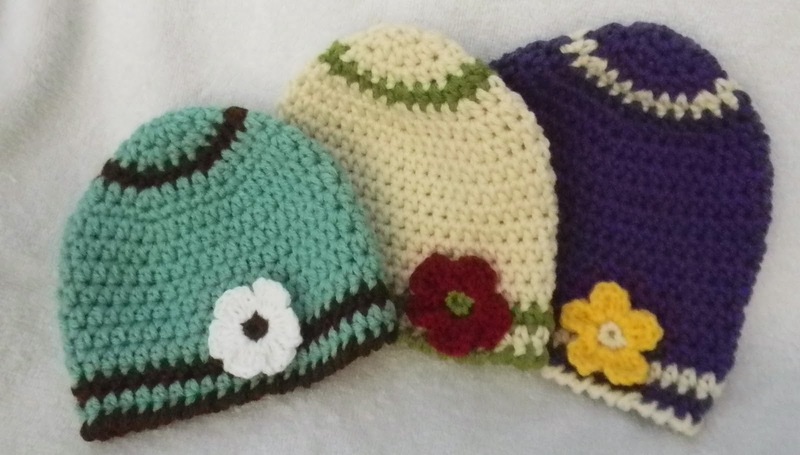 Bizzy Crochet: How to Custom Size a Crocheted Hat! How to Custom Size a Crocheted Hat!! 1) Take a flexible tape measure or a piece of string and wrap it around your head at the widest part, which is usually your forehead area. If you over lap your pieces, make sure you pinch or otherwise mark where you intersect your pieces. This isn’t terribly scientific but remember that the more “finger” you get behind your measuring piece, the bigger your measurement will be. 2) If you are using a flexible tape measure, look at your number. If you are using a piece of string, measure your piece of string at the intersect. This is your CIRCUMFERENCE. 4) Here it gets a little funky. You will take your ACTUAL DIAMETER number and minus an inch off. We will call this our WORKING DIAMETER. So, my new WORKING DIAMETER will be 6.25”. Why do we do this? I can’t give you a scientific reason, but I can give you a crocheter’s reason. Having made a few hats using the actual diameter, I discovered they weren’t so great as a hat. But, if I flipped it over and threw a handle on it they made a really nice handbag. Use my mistakes as a learning tool and turn your ACTUAL DIAMETER into a WORKING DIAMETER. 5) Ok, now, in your increase rounds is where you will become an obsessive measure(er). I, actually, measure after each round until I get to know a pattern well. Work increase rounds until you reach your WORKING DIAMETER. After that, no more increases should be needed. 6) After you have reached your WORKING DIAMETER in your increase rounds, you can then start working the “body” of the hat. These are just round after round of your chosen stitch that will be worked until you reach the desired length. Take into account any trims rows you will want to put on the bottom of your hat when you are deciding on a finish length. I use Crochet Geek's Hat Size Chart for every single hat I make. I printed it off and I keep it in my crochet journal as a guide for all my hats. I wish my head were a computer and could just remember all those numbers, but it isn't and can't, so her chart is super handy! !